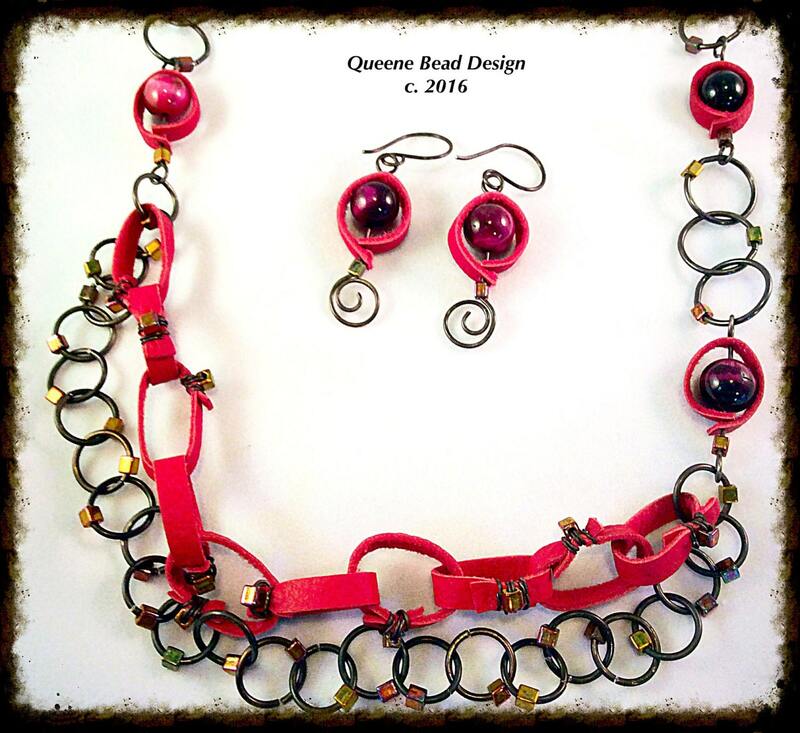 Stunning necklace and earrings made from annealed steel wire, genuine red leather chain, tiger eye gemstone quality beads and cube beads. 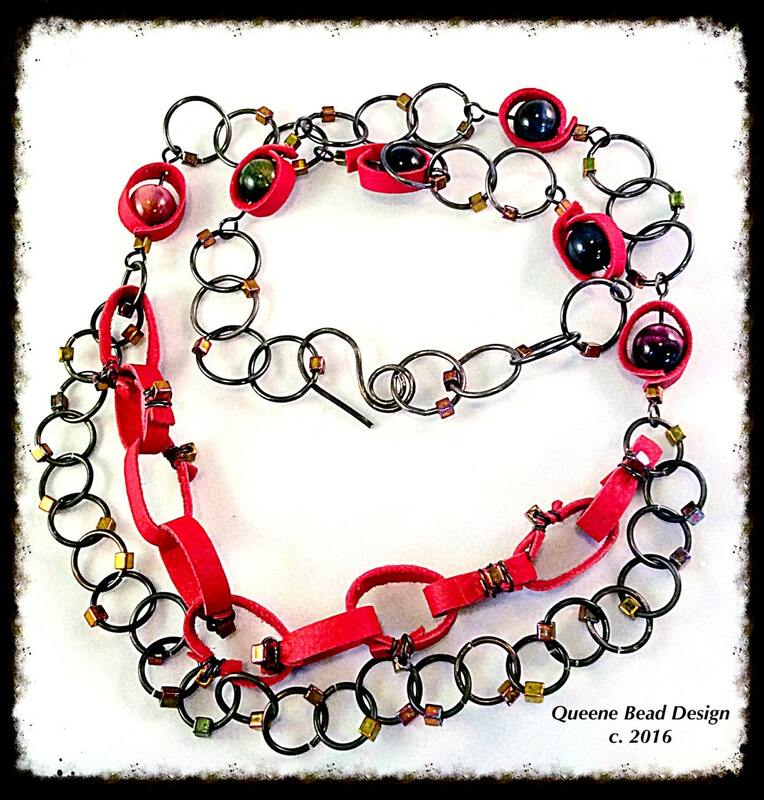 The handmade leather chain links are "tied" with annealed steel wire with a cube bead for accent. I made the steel links and with a cube bead. Then I wrapped leather around tiger eye beads for added color and polish. 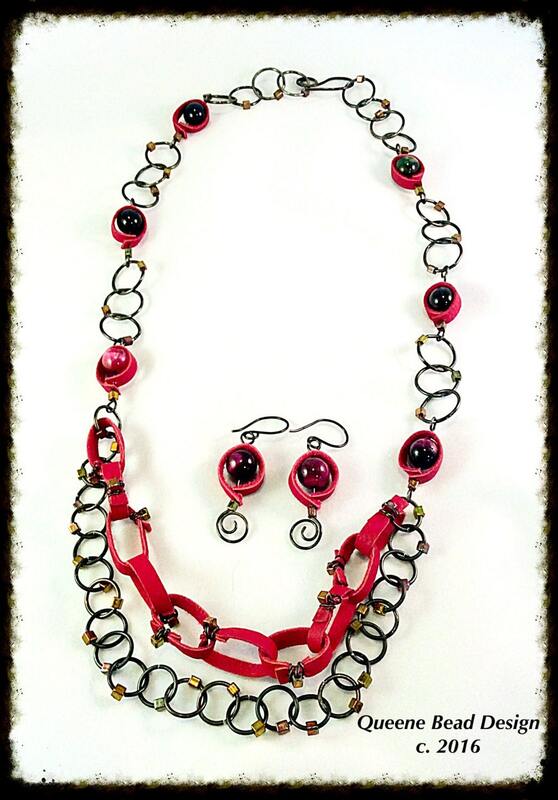 Finished with a handmade clasp, this necklace is unique and 24" long. 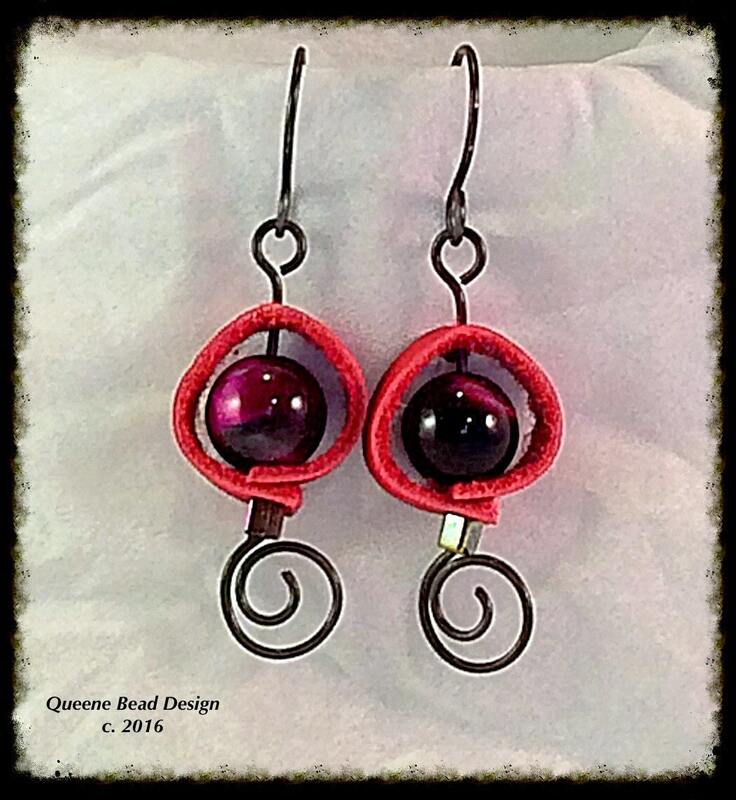 The earrings are all handmade with the same components as the earrings. With hand made ear wires. 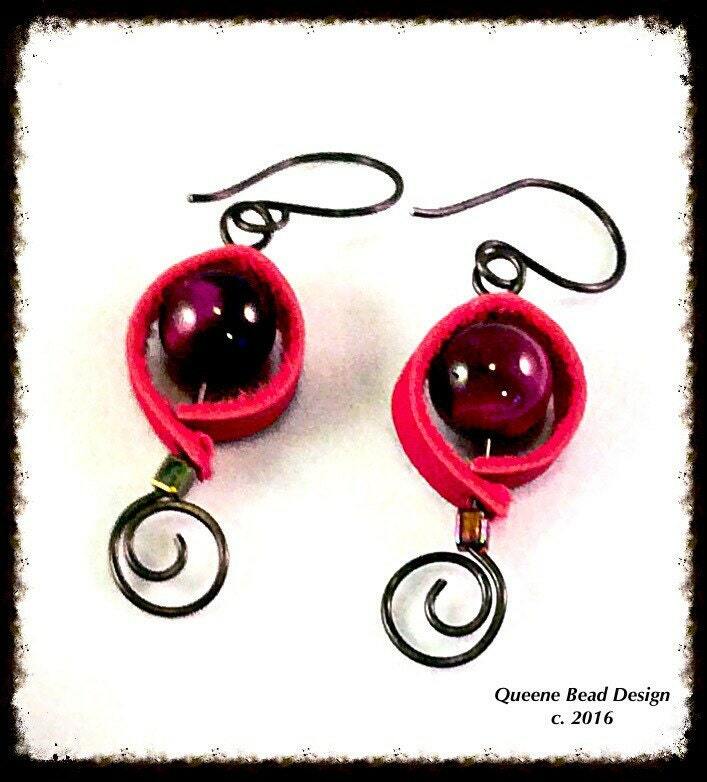 From the top of the ear wire, these earrings hang 2 inches.